Want to prepare healthy food at home without spending hours in the kitchen? 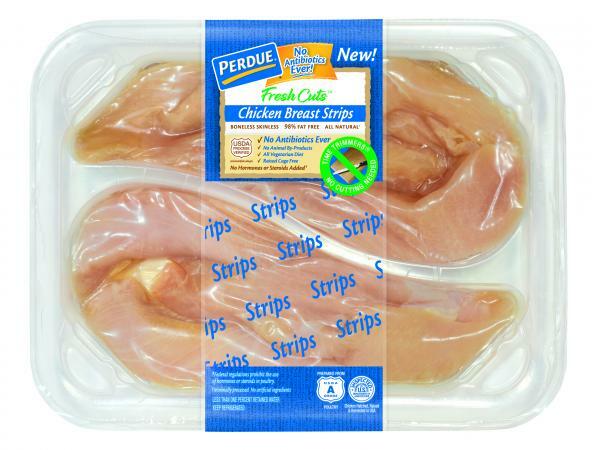 If you're interested in shortcuts that will allow you to save time in the kitchen without compromising on food quality, you're sure to be excited to learn about PERDUE® Fresh Cuts™ chicken. I am fully in support of any opportunity to find fresh chicken that doesn't require any prep-work from me. 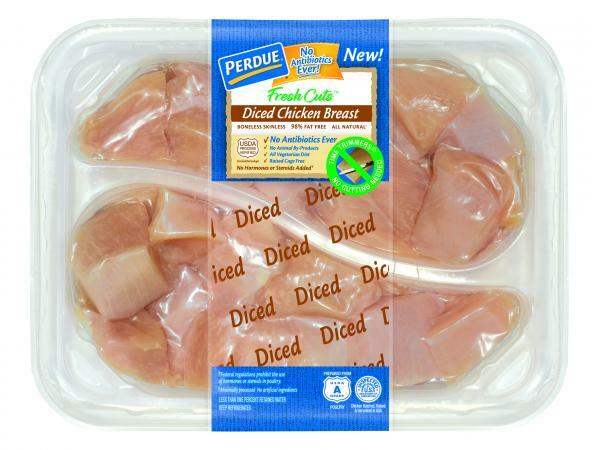 That's exactly what this new line from PERDUE provides. Available in pre-cut strips and diced chunks, this line makes it easy for you to prepare all of your favorite chicken recipes without ever having to touch the raw chicken. Instead, it can go directly from the package to the pan for use in any of your favorite chicken recipes. Fresh Cuts Strips: The strips are ideal to pan-fry with olive oil and your favorite herbs for chicken, or to cook on the grill. If you like breaded chicken, try this easy chicken fingers recipe or this gluten-free version. Diced Fresh Cuts: The diced chunks are perfect for chicken casserole recipes, chicken chili, and more. I cooked them in olive oil with Creole seasoning and served them alongside fettuccini Alfredo. Unlike most food products that add convenience to the preparation process, there is no quality compromise with this product. This isn't just 'any' chicken. This is chicken you can feel good about eating and serving to your family and friends. If you're concerned about clean eating, you'll be happy to learn that all PERDUE chicken is truly anti-biotic free. PERDUE chicken is labeled as "No Antibiotics Ever", which is a much more rigorous standard than other labels used to indicate the absence of antibiotics. If you are concerned about the potential risks associated with the overuse of antibiotics in food animals, this is a distinction that you'll likely find to be comforting. As someone who is always looking for ways to reduce the work involved in preparing healthy meals at home, I was really excited with the PERDUE team invited me to review their new line of pre-cut boneless, skinless chicken breasts. My experience with this great new item was overwhelmingly positive. I highly recommend this product. Note: The author received free samples of this product for review purposes. The opinions discussed here are her own.